Porto’s Bakery is one of the most popular bakeries in California because of their quality handmade cakes. In addition to purchasing ready-made pies, tarts, cookies, and cakes, customers can also purchase customized, specialty cakes. Depending on what you choose, a cake from Porto’s can range from $10 to a few hundred dollars. If you want to celebrate a special occasion with Portos cakes, there are many options available. This article will let you know how much the different cakes at Porto’s costs, so you can find the right cake for your celebration. Porto’s always has some of their specialty cakes, like carrot cake and strawberry shortcake, ready made in their bakery. These festive Portos cakes have neutral decorations that work well in any celebration, and they can be purchased on short notice. For more specialized occasions like baby showers and birthdays, try ordering one of the Porto’s custom cakes. People who love Porto’s cakes enough to pick one for their wedding can get even more customization options by working with Porto’s wedding cake specialists. Porto’s has a lot of truly unique options that make any event more memorable. The wide variety of whimsical birthday cakes from Porto’s is truly impressive. Whether the birthday person is a child or adult, Portos cakes will work for a themed party. You can just pick a simple sheet cake with celebratory balloons or pretty flowers, or you can get a custom cake with a specialty shape. Porto’s can create cute animals, fun fire trucks, princesses, mountains, legos, and other unusual shapes. For a last minute party, you can select a readymade cake that has festive floral or geometric designs. In some instances, Porto’s may be able to write a birthday message on a cake for you while you wait. Welcome a new baby with one of Porto’s many adorable baby shower cakes. They have several different sheet and round cakes with classic designs for affordable shower cakes. If you want something a little more detailed, you can select a sheet cake cut into a design like a stroller or baby dress. For truly elaborate baby showers, Porto’s can also do cute cakes shaped to look like landscapes, animals, boats, or baby toys. Some stores may be able to do gender-reveal cakes that are colored inside to match the baby’s gender. 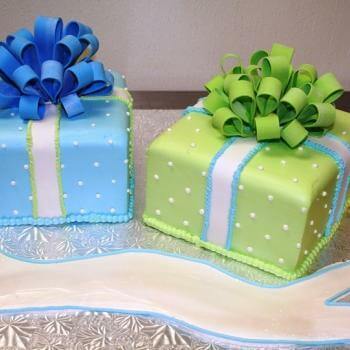 Whether you need a cake to serve 10 people or 100, Porto’s has a baby shower design that will meet your requirements. Porto’s simpler, ready-made cakes provide a festive appearance, or you can special order a graduate cake. There are lots of options to get cakes designed in school colors and customized to reference any graduate’s interests. 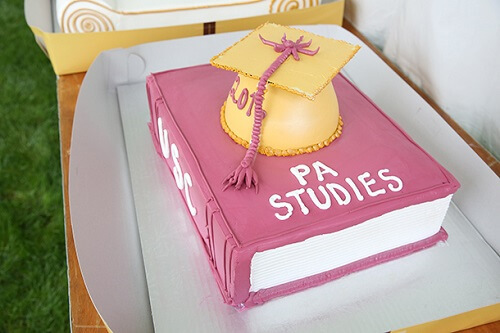 Athletic students will appreciate the sports themed cakes, while academic students might like the cake that looks like a stack of books.If you need to serve a lot of people at a big graduation party, you can select a classic sheet cake topped with a cute little graduation cap and diploma. The bakery can also print the picture of any graduate student on top of one of their cakes. Porto’s cake-making skills are particularly impressive when it comes to wedding cakes. They can craft traditional tiered cakes decorated with swirls of white icing and fresh flowers, or you can request more unusual designs like woodland cakes or castle shaped cakes. If you are within 100 miles of the Glendale Porto’s, you may be able to select the delivery option when you order wedding cakes. Otherwise, you will need to visit the store to pick up your cake. 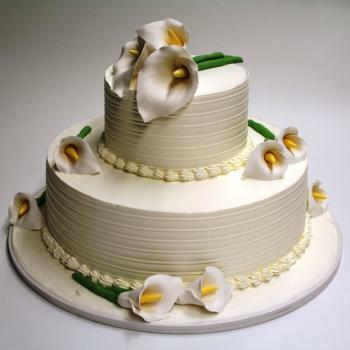 The wedding cake prices are only available upon request, because the price will vary depending on what you want. They are typically between $4 to $6 a slice. For more budget friendly options, you can select a Porto’s sheet cake in neutral flavors like Tres Leches. Because Porto’s has so many cake types, there are several different ordering options. 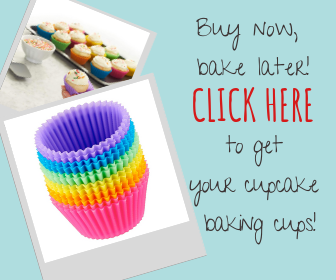 Simpler cakes need to be ordered 24 hours in advance, and you can place your order over the phone. 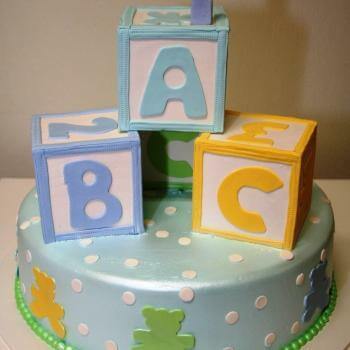 The custom shaped and decorated cakes must be ordered in the store, between one week to two months in advance. To find the address and phone number for any Porto’s store, visit the Porto’s directory. Wedding cakes cannot be ordered until after you set up a consultation with Porto’s wedding cake specialists by calling 818-956-5996 or emailing glendaleorders@portosbakery.com. Whether you get a readymade or customized cake, Porto’s adds a beautiful and festive note to any celebration or party. Just make sure you order far enough in advance to give Porto’s time to make your ideal cake. Have you tried Portos cakes before? Comment below to share your thoughts!